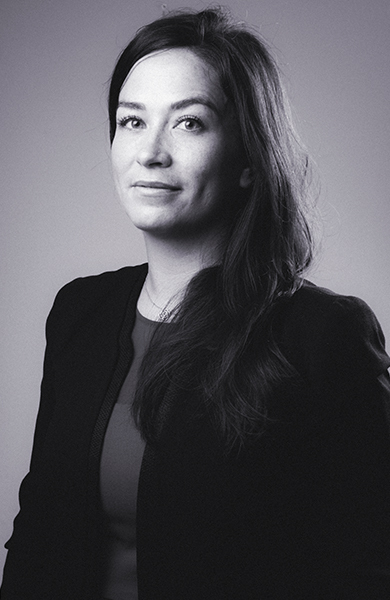 Avocate au Barreau de Paris since 2012, Camille Gibert is mainly involved in retail law and commercial leases. She is a member of the Commercial, Litigation, and Real Estate & Retail working groups of CastaldiPartners, and mainly assists international retailers, particularly in the Fashion & Luxury and Automotive sectors. Camille Gibert graduated with a double degree in French and Italian law from the Université Paris I and the Università degli Studi di Firenze. She then specialized in commercial law at the University of Dundee in Scotland. Camille Gibert joined CastaldiPartners in 2012. She has undertaken a long-term secondment with the legal department of an American household appliance multinational company. She assists Italian fashion & luxury brands in opening their boutiques in French cities and shopping centres. She is recognised as a specialist in commercial leases and has a privileged relationship with the many commercial real estate sector players. Camille Gibert assists large international groups in managing their B2B and B2C distribution network, particularly in the automotive, two-wheeler, household appliance and building material sectors. Her working languages are English, French and Italian. Assisting an Italian group specializing in stockings, swimwear and lingerie in the development of its network of over a hundred points of sale, on an affiliate, franchise or lease basis. Assisting an Italian leading cosmetics company in opening fifty sales outlets in France. Assisting several luxury ready-to-wear and design brands in opening new boutiques, notably in Paris, Cannes and Saint Tropez. Assisting an Italian group leader in the two-wheeler market in the relations with its dealers and in managing its after-sales service. Assisting an Italian automotive group in drafting its commercial contracts. Assisting a French subsidiary of a Swiss group specializing in high-end household appliances in drafting commercial contracts and complying with consumer law. Assisting an Italian construction material group in the distribution of its products in France. Defending a French company specializing in household appliances before the Paris Commercial Court in litigation for sudden termination of commercial relations. Defending an Italian group with the legal reports and procedures introduced as regards defective products. Camille regularly speaks at conferences on commercial real estate issues. She regularly trains foreign retailers on how to open sales outlets in France. University of Dundee / Université de Cergy-Pontoise. Université Paris 1 – Panthéon-Sorbonne.